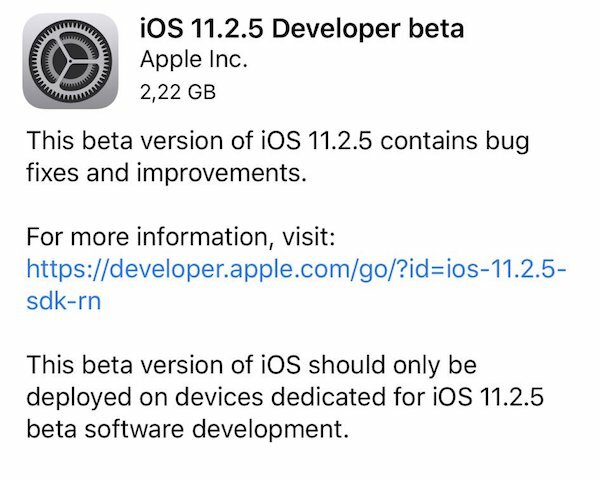 Apple has today made available to download iOS 11.2.5 beta 1 IPSW links and OTA update to those individuals registered with the company’s Apple Developer Program. The immediate release follows hot on the heels of the public release of iOS 11.2.1, which was rushed out to fix HomeKit security issue, and is available for download by all compatible iPhone, iPad, and iPod touch devices with the necessary beta configuration profile installed. iOS 11.2.5 is likely a minor point release, and, as such, isn’t likely to contain any earth-shattering functionality or feature improvements. Instead, this particular version is Apple’s way of focusing on improving the platform as a whole, integrating any performance improvements that it deems necessary, and, of course, fixing any issues or niggles which have become apparent since the release of iOS 11.2 and 11.2.1 in the real world on real devices being used on a daily basis. Apple will have also taken the opportunity to bundle in any necessary security enhancements and improvements to protect users on all device types. Apple will definitely be looking to introduce new features and functionality into iOS over the coming months. 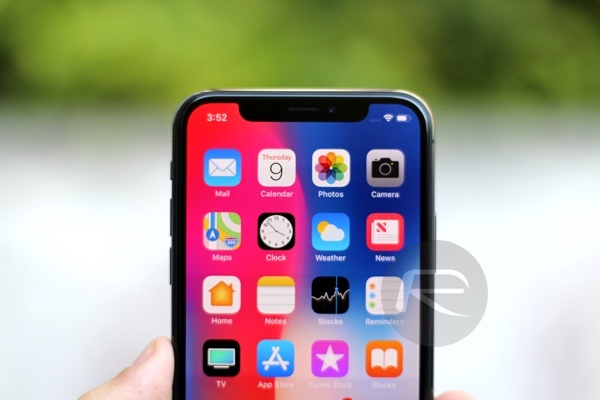 Jony Ive, who operates as Apple’s Chief Design Officer, essentially said as much during a recent interview whereby he alluded to iPhone X growing in stature and capability thanks to the development of iOS. With that said, with iOS 11.2.1 still making its way onto devices globally, and some of those features included within still yet to be officially activated outside of the United States, it may be a while before we see the progression of that nature. Until then, Apple will go through a process of releasing individual betas of iOS 11.2.5 into the development and testing communities in order to receive and act on important feedback. For those who are registered with the Apple Developer Program, and who already have a beta configuration profile installed on a compatible iPhone, iPad, or iPod touch, the initial pre-release seed of iOS 11.2.5 is available to download and install with immediate effect from Settings > General > Software Update section of iPhones and iPads. If you are going to be testing this latest version then please make sure to report any issues directly back to Apple. Update x1: More details on iOS 11.2.5 beta 1 can be found over at: iOS 11.2.5 Beta 1 Changes, Release Notes And Changelog Details You Need To Know About.